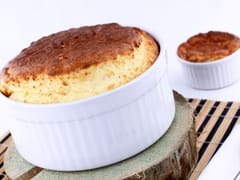 Before starting this Cheese Soufflé recipe, make sure you have organised all the necessary ingredients. Bring the milk and grated nutmeg to a boil. ... to combine well with the butter. 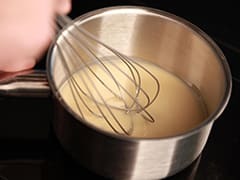 Cook the white roux for 2 or 3 minutes on low heat. Make sure not to burn the white roux.